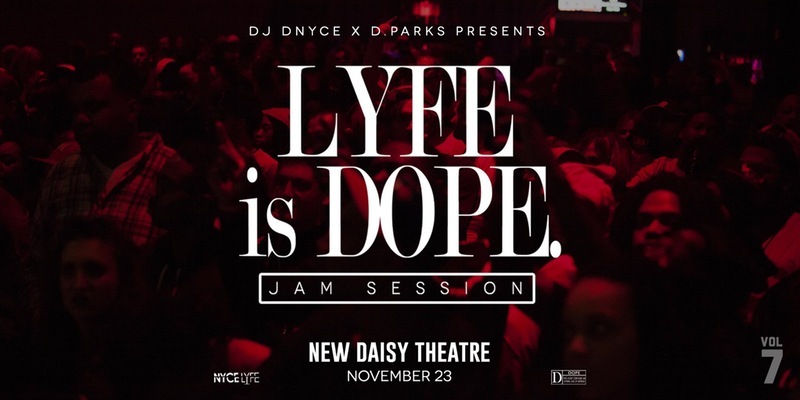 Lyfe is Dope announced its third annual Jam Session date as November 23rd at the legendary New Daisy Theatre. 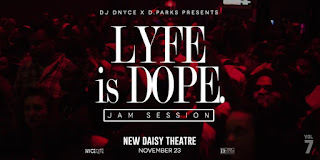 In three years the Lyfe is Dope Jam Session has grown into the region’s premiere hip-hop music, arts and culture event. Founded by Memphians Dj Dnyce (K97) and bassist David Parks (Jason Derulo, Justin Beiber), the event attracts over 1,000 attendees. The Lyfe is Dope Jam Session is an annual multi-media arts experience. It was created due to void in events showcasing all forms of quality art from the urban community. At Lyfe is Dope artists are able to express themselves through their individual talents and exhibits in the same room. The main event of the night is a concert loaded with only the best that the culture has to offer. 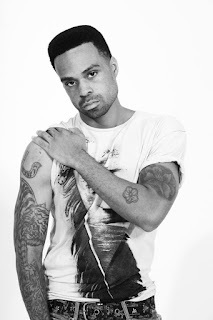 Some of the previous participants have been, platinum artist, Project Pat, GRAMMY nominated producer Drumma Boy, Kameron Whalum (Bruno Mars), K97/iHeartMedia Program Director Devin Steel, and local legends Lord T and Eloise. Follow @lyfeisdope_ for all updates and surprises!!! What happens after love at first sight? 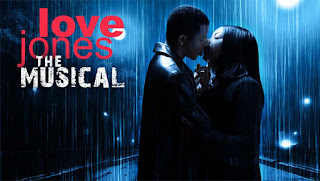 That's exactly what we find out as Chrisette Michele, Musiq Soulchild and Marsha Ambrosius join forces to tell the classic and iconic love story of Darius Whitehall and Nina Mosley in Love Jones The Musical. Set in Chicago, Darius and Nina meet in a nightclub, where an unassuming open mic event quickly turns into an explosive spoken word give and take that leaves the audience speechless. From the moment they lay eyes on each other, Darius and Nina’s lives are turned upside down. Their mutual attraction is obvious, but they are both on the rebound from unfinished previous relationships and neither of them are ready for “the real thing.” As much and as hard as they try and fight it, neither of them can resist what is pulling them together. It’s a passion, an obsession…a ‘love jones’ that comes along once in a lifetime.